Can’t get our Fiber Optic Connection? All is not lost, we have other options in our Microwave Wireless Internet Broadband Service. This service comes with no data-caps and speeds in excess of the current Cable and DSL offerings. 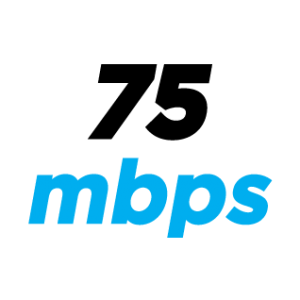 This service is uncapped both in total allowed speed, and total allowed bandwidth cap. You get what the the system can deliver at that point in time. We have seen speeds up to 75mbps download and 25mbps upload. Our Service Area covers most of Northwest Lower Michigan and includes the following towns and neighboring areas; Antrim, Charlevoix, Grand Traverse, Kalkaska, and Leelanau Counties. Including the cities of Acme, Alden, Atwood, Bellaire, Central lake, Charlevoix, East Jordan, Eastport, Elk Rapids, Ellsworth, Kalkaska, Kewadin, Leelanau, Mancelona, Northport, Rapid City, Torch Lake, Traverse City and Williamsburg. Contact Us today for more information or to schedule an onsite survey.